John Fuller (1757-1834) was one of the major early patrons of the Royal Institution. He was a wealthy Sussex ironmaster and MP for Southampton (1780-4) and for Sussex (1801-12). In 1818 he loaned the Institution £1000 (say £100,000 in modern terms) which he later wrote off. In 1828 he established the Fuller medal of the Royal Institution; and in early 1833 he founded the Fullerian Professorship of Chemistry and a little later the Fullerian Professorship of Physiology. Despite such generosity the Royal Institution has remarkably few archival documents relating to him. But this is more than compensated for by the number of portraits of him that the Institution possesses. William Odling (1829-1921) Born at Southwark. Died at Oxford. Contributed to the development of the Periodic Table. Received an Hon MA from Oxford University. Became a Fellow of the Royal Society in 1859. 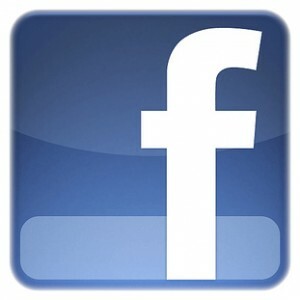 In 1875 was granted an Hon PhD by Leiden University, Holland. Was a Professor of Chemistry at Oxford. Was a reader in chemistry at St. Bartholomew's Hospital in London from 1850 to 1868 and at Guy's Hospital, London between 1850 and 1863. Between 1868 and 1873 was professor in Chemistry at the Royal Institution. John Hall Gladstone (1827-1902) Born and died in London. He was a pioneer in the fields of optics and spectography. He became a chemical lecturer at St Thomas's hospital in 1850 and was elected a fellow of the Royal Society in 1853, at the unusually young age of twenty-six. Between 1874 and 1877 Gladstone was a Fullerian professor of chemistry at the Royal Institution. Sir James Dewar (1842-1923) Born at Kincardine-on-Forth, Scotland. Died in London. Invented the Dewar Flask on which the Thermos of vacuum flask is modeled. Educated at Edinburgh University. In 1875 he became professor of experimental philosophy at Cambridge and then at the Royal Institution in 1877. He was knighted in 1904. William Henry Bragg (1862-1942) Born at Westward, Cumberland. Died in London. The mineral Braggite was named after him. Was made a C.B.E. in 1917 and was knighted in 1920. With son William Lawrence Bragg, won Nobel prize in 1915 "for their services in the analysis of crystal structure by means of X-rays". Sir Henry Hallett Dale (1875-1968) Born at London and died at Cambridge. He was a pharmacologist and physiologist who studied acetylcholine as agent in the chemical transmission of nerve impulses. For this work, he shared the 1936 Nobel Prize in Physiology or Medicine with the German pharmacologist Otto Loewi. Dale was knighted in 1932 and awarded the Order of Merit in 1944. Sir Eric Keightley Rideal (1890-1974) Born at Sydenham, Kent and died in a nursing home in London. His research spanned a range of topics including electrochemistry, catalysis, and surface chemistry. He was knighted in 1951 and elected a Fellow of King's College London in 1963. William Lawrence Bragg (1890-1971) Born in Adelaide, South Australia and died in Ipswich, Suffolk. He is the discoverer of the Bragg law of X-ray diffraction, which is essential in determining crystal structure. He shared the Nobel Prize for Physics with his father in 1915. Professor of Natural Philosophy, 1938-1953; Fullerian Professor of Chemistry, 1954-1966. George , Baron Porter of Luddenham (1920-2002) Born in the West Riding of Yorkshire 6 December 1920. He developed the technique of flash photolysis to gather information on short-lived molecular species which provided the first evidence of free radicals. With Manfred Eigen and Ronald George Wreyford Norrish, he was awarded the Nobel Prize for Chemistry in 1967. He is Director of the Davy Faraday Research Laboratory of the Royal Institution. He was knighted in January 1972. Sir John Meurig Thomas Born December 1932 in Llanelli, South Wales. An author and educator his research centers around heterogeneous catalysts. Meurigite, a new mineral, was named in his honour in 1995. Was knighted in 1991. 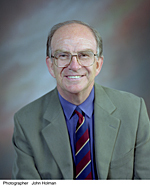 Director of the Royal Institution and Director of the Davy-Faraday Research Laboratory from 1986 to 1991. Peter Day Born in 1938 in Kent. He pioneered work in mixed-valence compounds and which led to the Robin-Day classification. His doctoral research was carried out in Oxford and Geneva. Was appointed Director of The Royal Institution and its Davy Faraday Research Laboratory in 1991, where subsequently he became Fullerian Professor of Chemistry. 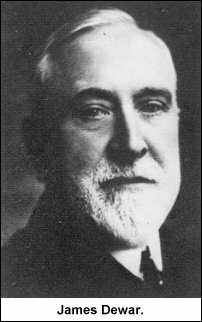 Quentin Pankhurst Born in New Zealand. Professor at University College London since 1994. Runs research programs in the fields of biomagnetism and nanomagnetism. 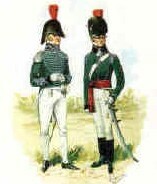 Peter Mark Roget (1779-1869) Born at London and died at West Malvern,Worcestershire. He studied medicine at Edinburgh University at the age of fourteen. 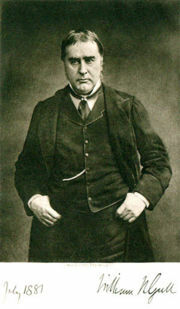 Author of Roget's Thesaurus of English Words and Phrases first published in 1852. 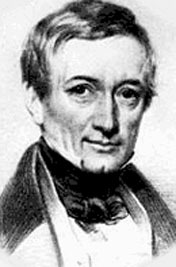 In 1814 Roget invented a slide-rule that would calculate the roots and powers of numbers. Robert Edmond Grant (1793 -1874) Born at Edinburgh. Graduated medical school at Edinburgh in 1814 and become a doctor. He later become a specialist in marine biology and invertebrate zoology. Fullerian Professor of Physiology and Comparative Anatomy 1837-1838. Thomas Rymer Jones (1810-1880) He was a surgeon, zoologist and academic who wrote and illustrated many texts on the classification of species. Professor of comparative anatomy at King's College, London from 1836 to 1874. Fullerian professor of physiology at the Royal Institution, 1840-1842. Made a Fellow of the Royal Society in 1844. William Benjamin Carpenter (1813-1885) Born at Exeter and died at London. He was an eminent physiologist and friend of Charles Darwin. A biologist, he formulated the theory of ocean circulation. Fullerian Professor of Physiology and Comparative Anatomy from 1844 to 1848. William Withey Gull (1816-1890) Born at Colchester, Essex and died at London. He was a physician who coined the term anorexia nervosa. His research advanced the understanding of myxoedema, Bright's disease and paraplegia. Thomas Wharton Jones (1808-1891) Born at St Andrews, Fife, Scotland and died at Ventnor, Isle of Wight. He was an ophthalmologist and wrote Failure of Sight from Railway and Other Injuries of the Spine and Head (1855). Became Fellow of the Royal Society 30 April 1840. Thomas Henry Huxley (1825-1895) Born at Ealing and died at Eastbourne, Sussex. A self-educated man, he became a distinguished zoologist. His theory that birds evolved from small carnivorous dinosaurs is now widely accepted. His grandsons Andrew Fielding Huxley and Julian Sorell Huxley were also Fullerian Professors. Richard Owen (1804-1892) Born at Lancaster and died at London . He coined the term "Dinosauria" meaning terrible lizard. He was a pioneer of precise anatomical nomenclature. John Marshall (1818 - 1891) Born and buried at Ely, Cambridge. He was a surgeon who taught anatomy. He became a FRS and FRCS. Sir Michael Foster (1836-1907) Born at Huntingdon, Huntingdonshire and died at London. He was a physiologist and educator who introduced modern methods of teaching biology and physiology that emphasize laboratory training. Graduated from London University, 1859, in medicine. William Rutherford (1839-1899) Born at Anerum, Scotland and died at Edinburgh. He was a professor of physiology, King's College, London, 1869. Fullerian professor of physiology, Royal Institution of London, 1871. Professor of physiology, Edinburgh University, 1874-1899. Co-editor of Journal of Anatomy and Physiology, 1875-1876 and Journal of Physiology, 1878. Alfred Henry Garrod (1846-1879) Born and died at London. He was a vertebrate zoologist and ornithologist who worked on the classification of bird species. His father and brother were noted physicians. Sir Edward Albert Sharpey-Schafer (1850-1935) Born at Hornsey, Middlesex and died at North Berwick, Scotland. He suggested that a single chemical component was missing from the pancreas of diabetics and called it "insulin". John Gray McKendrick (1841-1926) Born at Aberdeen, Scotland and died at Glasgow, Scotland. Was an educator and researcher who focused on the central nervous system and the senses, particularly hearing. Arthur Gamgee (1841-1909) Born at Florence, Italy and died at Paris, France. . Author of "A text-book of the physiological chemistry of the animal body : including an account of the chemical changes occurring in disease" published in 1880. Fullerian Professor of Physiology and Comparative Anatomy from 1884 to 1888.
died at Oxford, England. He pioneered the field of comparative psychology which is the scientific study of the behavior and mental processes of animals. Charles Stewart (1840-1907) Born at Plymouth, England and died at London. As well as being an anatomist, Stewart worked also in the fields of botany and pathology. He became a Fellow of the Royal Society, 4 June 1896. Augustus Désiré Waller (1856-1922) Born at Paris, France in 1856. Recorded the first electrocardiogram in 1887. His text book "An Introduction to Human Physiology", published in 1891, was considered standard reading for medical students. 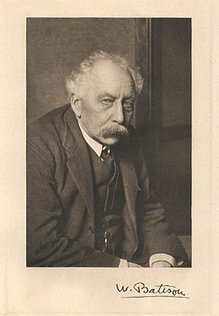 Sir Edwin Ray Lankester (1847-1929) Born and died at London. He was an invertebrate zoologist and evolutionary biologist. He was the first to demonstrate how the horseshoe crab or Limulus is related to the Arachnida. Allen Macfadyen (1860-1907) Born at Glasgow and died at London. Developed an anti-endotoxic serum for the treatment of typhoid. Was working at the Jenner Institute of Preventative Medicine, Chelsea Gardens, Grosvenor Road London in 1899. Published in 1908: The Cell as a Unit of Life and other lectures Delivered at the Royal Institution, London, 1899-1902. Louis Compton Miall (1843-1921) Born at Bradford and died at Leeds. Received no formal training, though later attended Leeds School of Medicine. His early work focused on geology and paleontology. His later research centred on entomology land specifically on the observation of living insects. 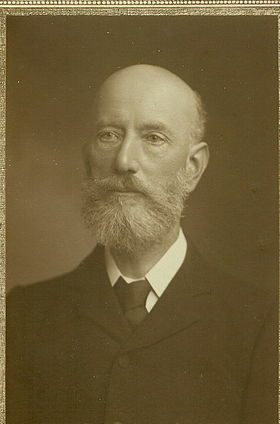 William Stirling (1851-1932) Died at Manchester. He was an histologist and physiologist. He believed strongly in educating the public in medical matters and used lantern slides in his presentations. 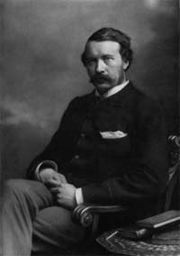 Sir Frederick Walker Mott (1853-1896) Born at Brighton, Sussex and died at Birmingham. He was a psychiatrist and sociologist and is noted for his research in neuropathology and how the endocrine glands relate to mental disorders. He was knighted in 1919. 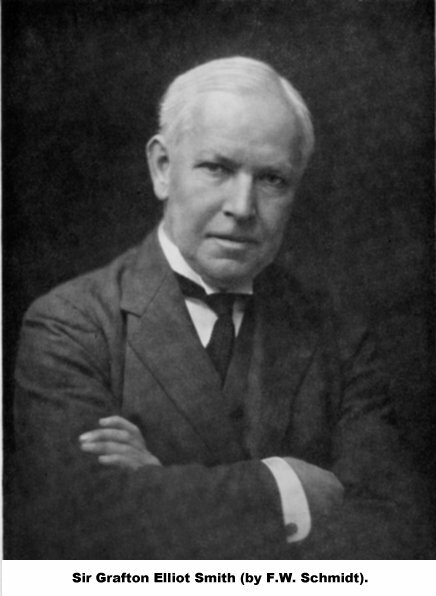 William Bateson (1861-1926) Born at Robin Hood's Bay, North Yorkshire and died at London. 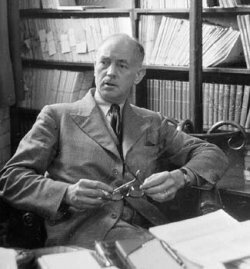 He systematically studied the structural variation displayed by living organisms and is the first person to use the term genetics to describe the study of heredity and biological inheritance. Charles Scott Sherrington (1857 - 1952) Born at Islington, London and died at Eastbourne, Sussex. He worked in the fields of physiology, pathology, histology, neurology, bacteriology. In 1932 he won the Nobel Prize for Physiology or Medicine. 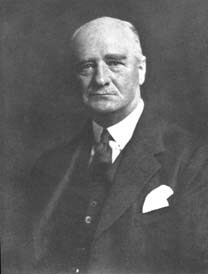 Sir Arthur Keith (1866-1955) Born at Aberdeen and died at Downe, Kent. He won the first Struthers prize (1893) with a demonstration of the ligaments of man and ape. In 1894 he became a fellow of the Royal College of Surgeons of England and received his M.D. degree from Aberdeen. He was knighted in 1921. Sir Joseph Barcroft (1872-1947) Born The Glen, Newry, County Down, Ireland and died at Cambridge . Best known for his studies on the oxygenation of blood. 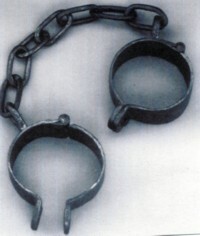 He frequently put his own health and safety at risk when experimenting with poisonous gases and oxygen intake. Sir Julian Sorell Huxley (1887-1975) Born and diet at London. He was an evolutionary biologist, the first Director of UNESCO, and a founding member of the World Wildlife Fund. He was knighted in 1958. Brother of author Aldous Huxley; half-brother of Arthur Fielding Huxley and grandson of biologist Thomas Henry Huxley. John Burdon Sanderson Haldane (1892-1964) Born at Oxford and died at Bhubaneswar, India. Was a geneticist and evolutionary biologist. Known for participating in extreme experiments, he once drank a bottle of hydrochloric acid and cycled home to see what affect it would have. Sir Grafton Elliot Smith (1871-1937) Born at Grafton, New South Wales and died at Broadstairs, Kent. He was and anatomist and archaeologist. He was interested in the anatomy of the human brain and was the first person to x-ray an Egyptian mummy. He was knighted in 1934. Sir Edward Mellanby (1884 -1955) Born at West Hartlepool, Durham and died at . Sir Frederick William Keeble (1870-1952) Born at London. He was a botanist, director of horticulture, agricultural advisor and civil servant. Became a Fellow of the Royal Society,1 May 1913. Author of Plant-animals: a study in symbiosis published in 1910 and "Life of plants" first published in 1926. He was knighted in 1922. Jack Cecil Drummond (1891-1952) Born at Leicester. Murdered in France, along with his wife and daughter. He was a biochemist. In 1919 he named vitamin C, and proposed the change in spelling from vitamine to vitamin. He contributed to the war effort with his work regarding nutrition and food rationing. Sir James Gray (1891-1975) Born in London and died at Cambridge. Was a zoologist who pioneered work in animal locomotion. He was elected FRS in 1929 (Croonian Lecture 1939, Royal Medal 1948) and was knighted in 1954. Sir Edward James Salisbury (1886-1978) Born at Harpenden, Hertfordshire. Died at Felpham, West Sussex.He was an ecologist and botanist. His early work centred around forest ecology in his native Hertfordshire. He went on to research ecology of garden weeds and of dune plants.He was knighted in 1946. Harold Munro Fox (1889-1967) Born Harold Munro Fuchs at Clapham, London. Died at Tooting, London. Fox's research spanned more than fifty years, ranging over many aspects of zoology, but was focused on researching marine invertebrates and ostracod crustacea (seed shrimp). nervous system and the functions of the brain. His contributions to marine biology include the discovery of the squid giant axon. books on the subject of marine mammals. He was knighted in 1984. 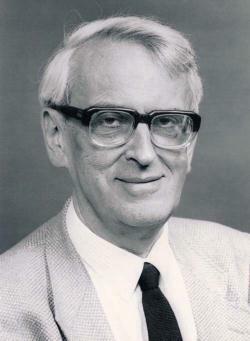 Andrew Fielding Huxley (1917-2012) Born at Hampstead, London and died at Cambridge. His early research was about how nerves transmit signals. He was awarded the Nobel Prize in Physiology or Medicine in 1963 for his work with Alan Hodgkin on the basis of nerve action potentials,. Younger, half-brother of Sir Julian Huxley the biologist and author Aldous Huxley. Grandson of biologist Thomas Henry Huxley. He received a knighthood in 1974. Max Ferdinand Perutz (1914- 2002) Born at Vienna and died at Cambridge. He worked in the fields of molecular biology and crystallography. He is best known for his work on hemoglobin and its uptake of oxygen and its release to the muscles and other organs. With with John Kendrew, awarded the Nobel Prize for Chemistry in 1962. Lord David Chilton Phillips (1924-1999) Born at Ellesmere, Shropshire and died at London. He was a molecular biophysicist and structural biologist. He is best known for discovering structure of lysozyme and explaining its antibacterial activity. He was knighted in 1989, and appointed as Baron Phillips of Ellesmere in 1994. Sir John Bertrand Gurdon (1933 - ) Born at Dippenhall, Hampshire. He is a developmental biologist. He is best known for his work in cloning and nuclear transplantation. With Shinya Yamanaka, he was awarded the Nobel Prize for Physiology or Medicine for the discovery that mature cells can be converted to stem cells. Dame Anne Laura McLaren (1927-2007) Born at London. Died in a car accident while driving between Cambridge and London. She worked in the fields of developmental biology and animal genetics. She was a leading authority on mammalian genetics and helped to develop the techniques that led to human in vitro fertilization. She was appointed Dame of the British Empire in 1993. Baroness Susan Adele Greenfield (1950 - ) Born at London. She is a scientist, writer and broadcaster whose main scientific work centres on the physiology of the brain. Her concerns that social media and video games have negative impacts on child development have been controversial. She was awarded the CBE in the Millennium New Year's Honour's List and Life Peerage (non-political) in 2001.